So, after all the films we saw, some left us amazed, and some left us empty. Lets round up what we consider to be the best and worst of the fest. Here’s what we think you should see, if you can! If you’re feeling in the mood for something artsy and adventurous, then definitely check out Anomalisa. 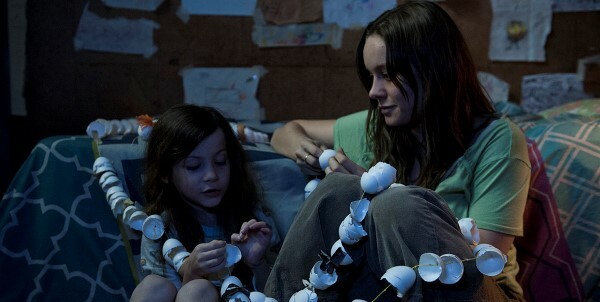 If you want something heavy and brooding (and maybe to have a bit of a cry after) then check out Room or I Smile Back. If you’re just looking for something fun, then you can’t go wrong with My Big Night. Ugh, Man Down, for sure. Pretentious and insulting, it’s such a waste of a potentially good concept and cast. Do yourself a favour and just watch The Sixth Sense again, if you want a twist ending that doesn’t slap you in the face. The movie that left the biggest impact on me was Room. Don’t underestimate Brie Larson, this is a film that will resonate with almost everyone, and will very likely launch her career to the next level. I doubt you’ll be able to ignore this film even if you wanted to, it’s going to get a general release, and it’s going to be all over Oscar-Buzz lists. The movie that got us talking the most, however, was High-Rise – if you’re looking to watch something a little more controversial and take a risk, I highly suggest it. It’s not for the mass public, and will appeal to those who enjoyed films like American Psycho or Magnolia. You’re not going to get a tidy plot, or reasonable characters, but you’ll get a wild ride that will leave you lots to either RANT or RAVE about to anyone who will listen. I’m going to be honest here, I only saw 5 Films, and there wasn’t anything I regret. I suppose, if I had to, I’d say that you could probably wait till The Danish Girl comes out on DVD/Netflix, as it’s not what I would consider “Theatre-worthy”. The Trailer is basically 90% of the beautiful/wonderful/tender moments all combined, and the rest sort of just blends it all together. It’s a good film, just not a GREAT one. With the films I chose this year at the festival, I feel like there were fewer that stood out in as strong a way as Nightcrawler and Whiplash did last year. Those two knocked it out of the park. That said, I did still manage to see a few excellent films amongst the mediocrity and disappointment. My favourite film that I saw, and what is surely going to be my most recommended amongst family and friends, was Lenny Abrahamson’s Room. Given that it also won the annual Grolsch People’s Choice Award, this should come as no surprise. This film left Chantelle, Angelina and I stunned after it was over. I don’t know about them but I was on the verge of tears for several hours after it. The subject matter is pretty horrific to begin with but Brie Larson’s performance had such intensity and emotional impact that it will surely stay at the forefront of my mind when considering the year’s best films. I was also seriously impressed by Canadian first-time filmmaker Stephen Dunn’s Closet Monster. About a teenage boy’s struggle with self acceptance and understanding his homosexuality against the backdrop of a broken family life and witnessing a traumatic hate crime as a child, this is one that I could easily see myself in, having struggled with many of the same things as the character. It was clear throughout the entire film that this was an extremely personal film for the director and every single minute was told with empathy and authenticity. Even for viewers who have not gone through anything similar or ever struggled with their sexuality, it’s still a powerful film that shines with the message of finding yourself and your passions in life. One of the biggest letdowns not just for me but for the whole festival was Tom Hiddleston’s new Hank Williams biopic I Saw the Light. It came to the festival with buzz and excitement and an expectation that it would be an Oscar contender. Unfortunately it did nothing but disappoint audiences with how shockingly bad it was. It did show us that Tom Hiddleston is actually quite a good singer, and it opens with a very promising a capella performance but the film quickly devolves into becoming nothing but a superficial highlight reel of Williams’ family life and music career. Elizabeth Olsen’s character is really unlikable. The story lacks depth and substance which means that as a result of not being able to get to know the characters, the viewer just doesn’t care. It’s best to just avoid this film altogether.